John Haynes Holmes. Photo courtesy of Editta Sherman. John Haynes Holmes—the prophetic founder and minister of The Community Church of New York, located at the very heart of the inner city—and I worked together as colleagues during the last twenty years of his life. Our apartments were across the hall from each other in the same building next to the Church, so I saw him every day. Every Monday morning we sat together in his study, evaluating the week past and planning the weeks to come. Every Saturday evening we met with our wives to review our preparations for Sunday morning. There were no questions we could not or did not discuss. He was y mentor and model for ministry; I was his choice for colleague and successor to carry forward the work he had begun. For seventeen years we sat together in the pulpit of the Community Church; for the first five he preached three times a month, I once; for the next twelve years I preached three Sundays, and he one. We shared all other churchly duties, I picking them up gradually as he had to relinquish them because of the ravages of Parkinson’s physical assault upon his body. Holmes served The Community Church as Jr. Colleague, Senior Minister and Minister Emeritus for a total of fifty-seven years. This year, 2001, I too will have served it in those same capacities for fifty-seven years! I have said many times that I believe John Haynes Holmes was the greatest all-around minister of religion of the 20th Century: pacifist, orator, churchman, social service organizer, racial and social justice pioneer, pastor, adult educator, political participant and leader, poet and philosopher, all at once! 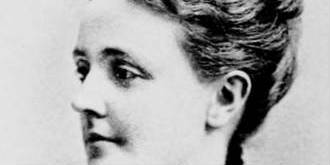 Holmes may have been best known for his stalwart pacifism and early recognition of the greatness of Mahatma Gandhi. It was in 1921, when Gandhi was almost unknown, that Holmes preached a sermon entitled The Greatest Man Alive in the World Today—not Wilson, Lloyd George, Lenin, Stalin, not Trotzky; not Clemenceau, Churchill or Tolstoy, but Mohandas K. Gandhi of India, the apostle of non-violence! Gandhi with John Haynes Holmes, New Delhi, October 12, 1947; Photo by John Haynes Holmes’s son, Roger W. Holmes. “When hostilities begin, it is universally assumed that there is but a single service which a loyal citizen can render to the state: that of bearing arms and killing the enemy. Will you understand me if I say, humbly and regretfully, that this I cannot, and will not, do. When, therefore, there comes a call for volunteers, I shall have to refuse to heed. When there is an enrollment of citizens for military purposes, I shall have to refuse to register. When, or if, the system of conscription is adopted, I shall have to decline to serve. If this means a fine, I will pay my fine. If this means imprisonment, I will serve my term. If this means persecution, I will carry my cross. No order of president or governor, no law of nation or state, no loss of reputation, freedom or life, will persuade me or force me to this business of killing. On this issue, for me at least, there is no compromise. Mistaken, foolish, fanatical, I may be; I will not deny the charge. But false to my own soul I will not be. Therefore here I stand. God help me! I cannot do other! Holmes offered the church people his resignation, which they promptly refused. But he did stand almost alone. Almost, but not quite. He later told how Gandhi came into his life: “At the moment I needed him most, I discovered that there was such a man. He was living in the faith that I had sought. He was making it work and proving it right. He was everything that I believed but hardly dared to hope. In my extremity in 1917, I turned to Gandhi, and he took me into his arms and never let me go. Away across the globe he cared for me and taught me and reassured me. The others move. The other stars wheel by. Inching across the night, they saunter forth. Unhindered by the drift across the sky. And undiscovered countries loom in sight. A polar point of astral changelessness. Holmes had an extended visit with Gandhi in India shortly before Gandhi’s assassination. 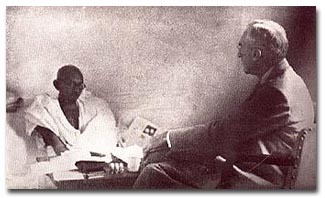 He told me that he had found Gandhi deeply discouraged by the communal violence and partitioning of India and Pakistan. Gandhi said, “Holmes, I have failed, totally failed. They will worship me, but they will not follow me!” I tried to reassure him, but he would not be comforted. Civic Leaders Assail City Administration – Dr. John Haynes Holmes, Chairman of the City Affairs Committee, addressing the crowd of more than 3,000 people that filled Carnegie Hall, New York, March 30, to denounce the administration of the city of New York as corrupt and inefficient. Seated, are left to right: Rabbi Sidney Goldstein, who appeared in the place of Rabbi Stephen S. Wise, who is ill; Heyward Broun; Paul Blanchard; Darwin Meseole and Norman Thomas, Socialist Leader. Courtesy of the Boston Public Library Print Department. In an age of oratory, Holmes was among the greatest. 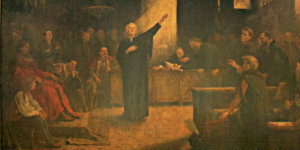 His peers were preachers like Harry Emerson Fosdick at Riverside Church, Norman Vincent Peale at Marble Collegiate, Father George Ford at Corpus Christi Columbia, Rabbi Stephen S. Wise of The Free Synagogue at Carnegie Hall, the Unitarians John Howland Lathrop in Brooklyn and Minot Simons at All Souls Church in New York, Ralph Sockman at Christ Church Methodist, and Preston Bradley at The Peoples Church of Chicago. Holmes spoke with a passion which carried everything before it. His sermons, usually a full sixty minutes, were clear and logical, step by step, from start to finish, powerfully illustrated with references from history and literature. He left his hearers with the feeling that all that could be said on any particular subject had been said. Holmes experienced his life and times in personal, hyperbolic terms, and he left no arguments unanswered, no iniquity unassailed, no shame unmasked, no goodness unpraised. 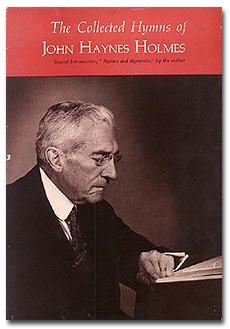 Holmes believed every citizen should not only vote, but should be active in politics. He considered himself to be a democratic socialist. In the three-way race of 1912 between William Howard Taft, who was a Unitarian, Woodrow Wilson, and Theodore Roosevelt, he supported Roosevelt. This led to an embarrassing episode. On the Sunday before election that November, Holmes had prepared a sermon supporting Roosevelt. But he received a telephone call early that Sunday morning saying that President William Howard Taft, running for a second term, was in the city, and would be attending church. He asked that several front pews be reserved for him and his retinue!!! Holmes preached his sermon, supporting Roosevelt, with President Taft sitting in the front pew! Rabbi Wise said later that Taft had remarked to him angrily, “The blatherskite! He did everything but take up the offering for Teddy!” Wilson won. Taft went on to become Chief Justice of the Supreme Court, and Moderator of the American Unitarian Association. Young People’s Sunday at the Arlington Street Church, the beginning of an annual event. Speakers included (left to right), Henry V. Atherton, president of the National Young People’s Religious Union; the Rev. Dana McLean Greeley, minister of the church; the Rev. John Haynes Holmes, leader of the Community Church of New York, and Edward P. Furber, past president of the NYPRU. Courtesy of the Boston Public Library Print Department. Five years later Taft took his revenge. Presiding at a General Conference of the Unitarian Association in 1917 as the United States was preparing to enter World War I, Taft was presented with a resolution, prepared by Holmes and his colleagues, affirming both a conscientious support and a conscientious objection to the war and the right of Unitarians to support or to refuse it. 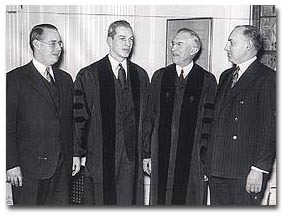 Moderator, former President and Chief Justice Taft declared the resolution, though properly presented, to be unpatriotic and treasonable, and therefore “out of order,” and called on the Conference to sustain his ruling; which, of course, it did. Holmes was outraged, left the Conference, and withdrew his fellowship as a Unitarian minister. The Church—then called Church of the Messiah—remained Unitarian, but for the next 25 years was largely non-participative in denominational affairs. During my ministry, the Church gradually became fully active in the Unitarian Association, and in his retirement, at the request of the Rev. Dr. Dana McLean Greeley, Holmes renewed his Unitarian ministerial fellowship. Holmes took an important part in the founding in 1920 of the Community Church Movement, and the congregation changed the church’s name. But the Community Churches were mostly united Christian congregations in overchurched small towns, many quite traditional, rather than as interfaith and open as Holmes had hoped, and the New York congregation found itself more at home among the Unitarians. Working with Paul Blanshard and Norman Thomas, Holmes and Rabbi Wise founded and co-chaired the New York City Affairs Committee which investigated the questionable Mayoralty of Jimmie Walker and ultimately helped replace him with reformist Fiorello La Guardia. 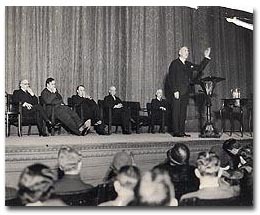 Both La Guardia and Rabbi Wise spoke at my installation service in 1944. Holmes was among the founders of several of the most important organizations for social justice: the National Association for the Advancement of Colored People, with W.E.B. Du Bois; The American Civil Liberties Union, with Roger Baldwin; The League for Industrial Democracy, with Harry Laidler; The Planned Parenthood Movement, with Margaret Sanger. 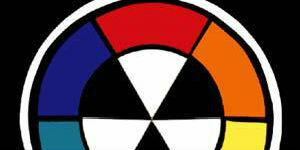 A few of the others are The Fellowship of Reconciliation, The War Resisters League, and The India League of America. Holmes was a regular speaker on Town Hall Tonight, radio’s great first public forum. The Congregation sponsored several counseling Services in the Church itself: the first church-sponsored Marriage Counseling Center with Drs. Abraham and Hannah Stone, associates of Margaret Sanger; an individual Psychological Counseling Center with Dr. Alfred Adler; a Legal Counsel Service with retired Judge Ralph C. Roper; and a Social Service Advisor with Irene Roggeveen, open to one and all needing help. Holmes’s Community Forum drew hundreds of New Yorkers every Sunday evening to hear outstanding personalities in the news. A Multiple Round Table Discussion Group gave everyone a voice on Sunday afternoons. In constant demand as a University Chapel preacher in all parts of the country, Holmes carried his message of international and interracial humanhood far and wide, reaching—with his message, his eloquence and the example of his life—hundreds of thousands of young people, students and ministers. 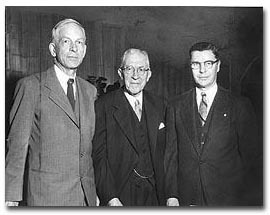 The Reverend John Haynes Holmes, center, receiving the annual award of the American Unitarian Association at the anniversary dinner of the association at the John Hancock Building. 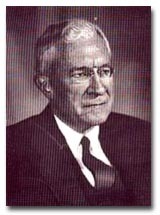 Left to right, William Roger Greeley, moderator of the association; the Rev. 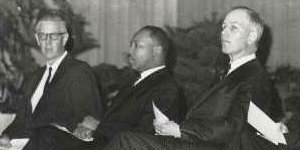 Holmes, and the Rev. Brainard F. Gibbons, general superintendent of the Universalist Church of America. Courtesy of the Boston Public Library Print Department. 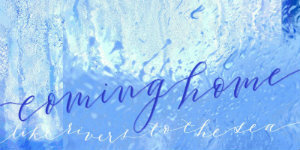 One Monday morning when I reached my office at the Church, I found a letter from Holmes already awaiting me. “My dear Don,” it read, “your sermon yesterday was beyond all praise. It was the finest sermon I have ever heard. The congregation was awed and shaken, and left the church convinced it would never hear its like again. Faithfully, J.H.H.” You don’t throw away a letter like that. People kept his letters. I still get them from people, now old, who can’t bear to throw them away! Sometimes curious colleagues have asked me what it was like to minister in the shadow of so great a predecessor. I have replied, “But I was never aware of any shadow.” Only with Holmes was the brightness of the shining sun, a human dawning, with kindness, encouragement and thus an eternal hope. Truly his was a model ministry for Unitarians and many others. My life was blessed to be close to his and to be called to carry forward his exemplary good works. And count it but a little thing to die. Half mutinous, yet half-adoring show. Holmes, John Haynes. The Double Root. New York: Twayne Publishers, 1950. Holmes, John Haynes. 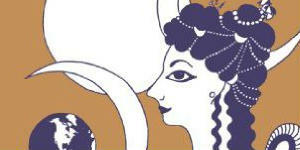 The Fortune Teller: Poems. New York: Harper and Brothers, 1961. Holmes, John Haynes. My Gandhi. New York: Harper, 1953. Holmes, John Haynes. I Speak for Myself: The Autobiography of John Haynes Holmes. New York: Harper and Brothers, 1959.